Certain moments in life seem insignificant because they seem like the norm, but there are milestones that you go through that affect you more than you think. Most people think that getting married is the most important milestone to look forward to as they get older, but by focusing on the first milestones in life that have happened, you can bring the joy you felt in those moments to your everyday life. We need to not let life pass us by and can choose to live in the moment. By recognizing all of the milestones we accomplish, we can have a more uplifting outlook on our life. One milestone that just about everyone may go through is a painful break-up. No one ever wants to necessarily hit this milestone, but it is often a situation you may have found yourself facing. Even though this may not be easy, there are still so many benefits that come from this process. After a break-up, you realize your strengths and are able to use it to help move past confining yourself to a relationship and will be able to truly live in each moment. You are able to show everyone that you are independent and can grow on your own. In addition, you will also know what it is you are truly looking for and the traits you want in a partner. You will come to realization of how you wish to be treated in a relationship and how that will benefit your life to be more secure. You will learn to let life layer and learn from the experiences you are going through to educate yourself. You will also gain empathy for others who will go through the same experience. By allowing life lessons to layer, you will receive a better understanding of others as well as yourself, and can use this knowledge to grow as an individual. The next milestone that you remember is the moment you have your own home. You may have had places with roommates, or siblings, or even lived with your parents for a while, but the moment you take charge of having your own space is rewarding. You will finally be able to have a place that is yours that you can either keep to yourself or share with others when you’d like company. This milestone also layers on more responsibility to your life, but it also serves a place for comfort. Signing that lease is a celebration of your life. By bringing joy to this opportunity, you can finally decorate how you choose and change anything in your home the way you see fit. This step in your life will allow you to feel more yourself now that you have a place of your own to keep you grounded. One milestone that may come up in the span of your career is asking for a raise when you know you deserve it. You may have been at a certain job for an extended period of time, or you may feel as though you are going above and beyond in your position, and feel the need to be recognized. When you have this feeling, you can strive not only to be better in your position, but also feel confident in your work. The moments leading up to asking for the raise may be intimidating, but you have to remember that you can be rewarded. Sometimes your boss will see that you have done outstanding work, and will reward you for being able to stand up for yourself. Even if you are not awarded the raise, you at least took charge of your life and of what you think you deserve. You made the first step in moving forward with your career and now you have to be confident that you are worth it. Doing this will make a difference in your life while reading the road signs that are in front of you. When you have pride in yourself, it is not always about making a difference in other’s lives, but positive differences in your own life as well. Be a leader to yourself and search for new opportunities that can better you as a professional. Telling someone you love them may be one of the most intimidating things that you will ever have to do, but that is what makes it a milestone in your life. Finally being able to get out those three words without knowing if the other person will say them back is terrifying, yet exhilarating. You will feel fearless about finally getting the admittance off your chest. You need to learn to be here in the present and not be afraid of all of the possible outcomes; speak what is on your mind. Embrace what is happening and how it makes you feel as a person. If your partner hears those three words, they might have been just as timid as you were originally, which makes it easier for them to repeat it back. Taking risks like this one may be terrifying, but the possible outcomes can be rewarding. Another milestone you may remember is being able to finally give back and take care of someone else instead of being taken care of yourself. When you reach this moment in life, it is an incredibly rewarding moment. For example, taking your parents to dinner may be a simple act, but it is a way of you returning gratitude to the people who have given you everything. You may see it as something little to do for them, but others see it as a way of you growing up and being able to securely stand on your own two feet. Show loved ones that you appreciate everything that they have done for you; now, it is time for them to appreciate something you are doing for them. Be prideful in who you have become and share your accomplishments with others. Instead of living for yourself alone, be grateful and make sure to include the ones who have continually supported you. One milestone that you may never forget is the first time you received praise. This moment of feeling respected, whether it be when your parents congratulated you after your first piano recital or when you graduated high school, will always remind you of the positive moments that life can offer. After receiving praise the first time, you realize how amazing it feels to be recognized in such a positive way. Even when you are feeling unsuccessful, you can bring this special moment from your past to the present to remind you that you can achieve anything you put your mind to. This original moment will act as a reminder to never doubt yourself and to never give up because you are always enough. You can blow away any limits and continually set new goals for yourself to achieve. Let life layer to create new memories and create a life where you feel invincible. A milestone that may be the most difficult is the loss of a loved one. This loss can range from a pet, grandparent, or even a sibling in your life. What you need to focus on, instead of the loss you feel, is how the loved one made a positive impact in your life. The initial pain of the loss may feel unbearable, but as time moves on, you realize how lucky you were to have them in your life and become flushed with memories. You should celebrate the life that your loved one had and all of the joy they provided you. Revel in the memories that you once shared and bring them into your life today to celebrate life in every moment you come across when feeling alone or forgotten. As time goes on, you need to continually feel confident in yourself and embrace every milestone you come across. The feelings you have will never leave you, so you should focus on all of the positives in your life. Remind yourself that there are people who love you and who you love in return. Use your memories to your advantage to bring positivity to your everyday point of view. Remember the times where you stood up for yourself and continue to do so. 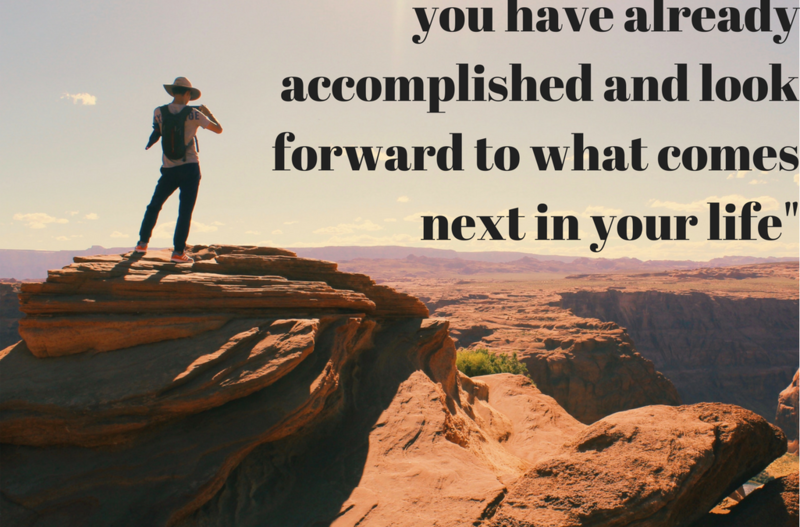 Be proud of everything you have already accomplished and look forward to what comes next in your life. By harnessing all of these un-forgetful memories, you can bring them into the present to continue to live full out.